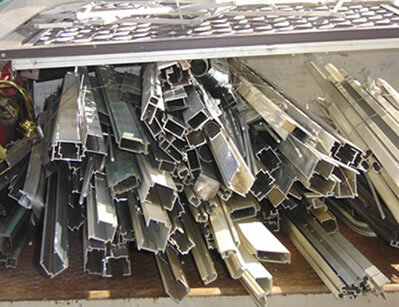 We deal with bulk aluminium scraps across Sydney! We specialise in large quantity industrial and commercial scrap or residential scraps from renovation activities. Aluminium recycling is the repurposing of used aluminium. Since it is a metal, it can be melted and used again by the industries that needed aluminum in the first place, mainly food and beverage packaging, infrastructure, manufacture and construction. Recycling aluminium is cheaper and consumes lesser energy than making it new from raw materials. Why is aluminium recycling great for the environment? Aluminium recycling is great for the environment because it takes and uses aluminium which would otherwise end up in thrash mountains that many countries in the world have. Thrash mountains are huge dump sites open to the air, with metals and everything all mixed up in them and are unsightly and hazardous to health. Recycling aluminium simply means using aluminium that is already there and that leads to less mining of the sources of this metal will take place. Mining, especially in third world countries involves procedures and chemicals hazardous to human health, both to those who are directly involved- miners, and those who live around the area. Chemicals used for and the byproducts of mining are inevitable consequences of mining and when not properly disposed of, contaminate local ecological systems, systems relied on by populations for water, food and dwelling. When did aluminium recycling start? Recycling aluminum started when it was discovered that melting and reshaping this metal does not affect it structural integrity. The Industrial Revolution of the late 1800s has seen some significant recycling of aluminium but it was the start of the 1900s that has really started massive recycling of aluminium in many countries, especially those involved in manufacturing things related to war and food industries. In the 1960s, environmental consciousness took off and recycling of aluminium became one of the most successful and established metal recycling practices around the world. Why choose Scrap Metal Sydney for aluminium recycling? 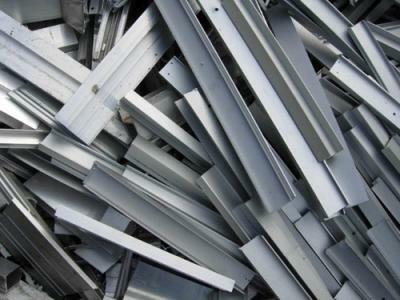 For all aluminium recycling needs and purposes, choose Scrap Metal Sydney. Scrap Metal Sydney is local and is staffed by good people who care about the environment and the community. Our recycling practices support general environmental sustainability and we help the community by providing jobs. We aim to expand and this will create more jobs. We are all interconnected and supporting local businesses is good for the community and in the bigger perspective of things, good for the country. If you’re looking for aluminium fencing services, please visit Boresi. What are common sources of aluminium for recycling? Common sources of aluminium for recycling are new scrap metal and used or obsolete scrap metal. New scrap metal is metal left over when lids and cans are punched out of new aluminum sheets. Other than manufacturing industries, building construction also provides scrap aluminum. Obsolete scrap metal comes from all used aluminium, usually from items found in everyday life such as food and beverage cans, products of disuse or demolition such as sidings of buildings, transportation both big and small such as bikes, boats, ships, cars and aircrafts. Metals are not only made just to end up in the dumps. Perhaps if some amazing facts about aluminum will be cited here, then you would change the way how you perceive it. Aluminum is 100% recyclable. It means that aluminum recycling can be repeated to be processed unlimitedly. Therefore, it is concluded that this metal is the most recyclable and inexhaustible in nature among the metals existing in this world. Another fact is that it takes about four centuries before it will be naturally decomposed and the decays can impose threat to the environment and to the health of the human beings. Landfills in the United States contain more than 100 millions of cans in a day. Lastly, every part of it, old or new, is reusable hence it is still precious. With the facts given above, think about the many benefits of aluminum recycling. It can be found from beer and beverage cans, gutter and aluminum foils to name a few. The repercussions of it will be of great effects to Mother Earth, to human beings and other living organisms in our planet. Because it is inexhaustible itself, industries and other manufacturers do not have to spend an enormous amount of energy thus saving electricity that can support a city with the size of Pittsburg for about six years or more. Plus, that single metal of this kind you reuse can also save the energy needed to operate a functional television for approximately 3 hours. And by doubling or tripling the recycling, we reduce the harmful emissions from factories and industries. Imagine how much energy can be saved with just one individual knowing its worth and thinking about saving the Earth for the next generations to come. You can do many ways to take that aluminum recycling on high gear. Search for it in your trash, in your homes or in your neighborhood. You can send them to your local recycling centers. You can also give these metals to centers of Boys Scouts and Habitat for Humanity because they earn money by recycling scrap metals. Definitely, there are no disadvantages of doing this simple act. Noble as it seems, think about the energy and lives that is can save. These simple acts of environmental consciousness can lead to greater effects to whole world.